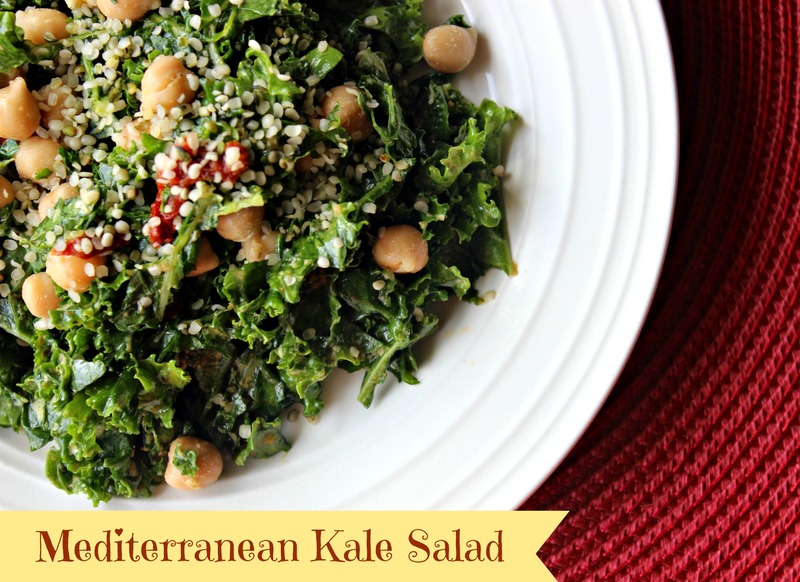 I’ve been a kale lover for a few years now and have fun coming up with new ways to incorporate it into recipes. 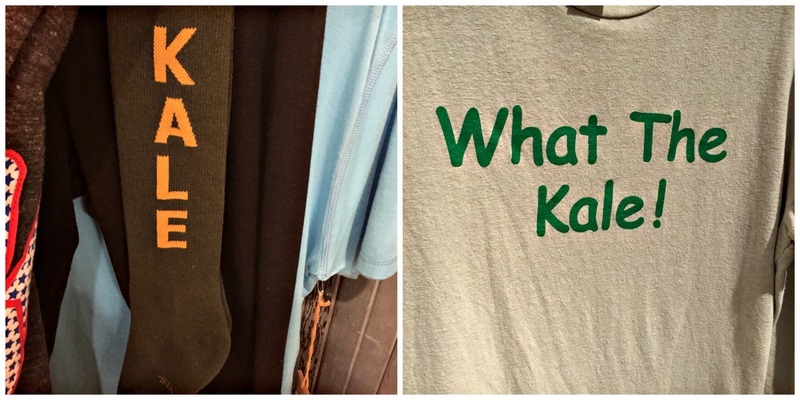 I even found these super cool kale-lover clothing items at a small store called Simply Local in San Diego that reflect someone’s serious obsession with this leafy green veggie. Today’s salad recipe has some Mediterranean inspirations with lemon, olive oil, garlic, tomatoes and chickpeas. It comes together in a matter of minutes and can be enjoyed for lunch or dinner. From the kale and garlic to the hemp seeds and chickpeas, this delicious dish is LOADED with cancer-fighting and fat-storage fighting foods known as GBOMBS. Click here to learn more about GBOMBS and why we should eat them daily. 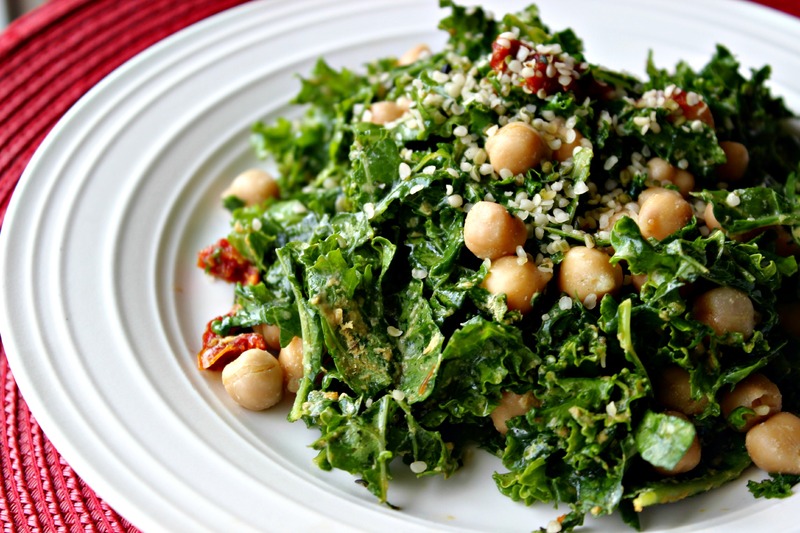 The key to this salad is massaging the lemon juice into the kale leaves to “cook” and soften the kale and break down its bitterness; it’s always important to give your raw kale a little massage. What I love about kale salads (one of the many things) is that they “keep” for a few days in the fridge. 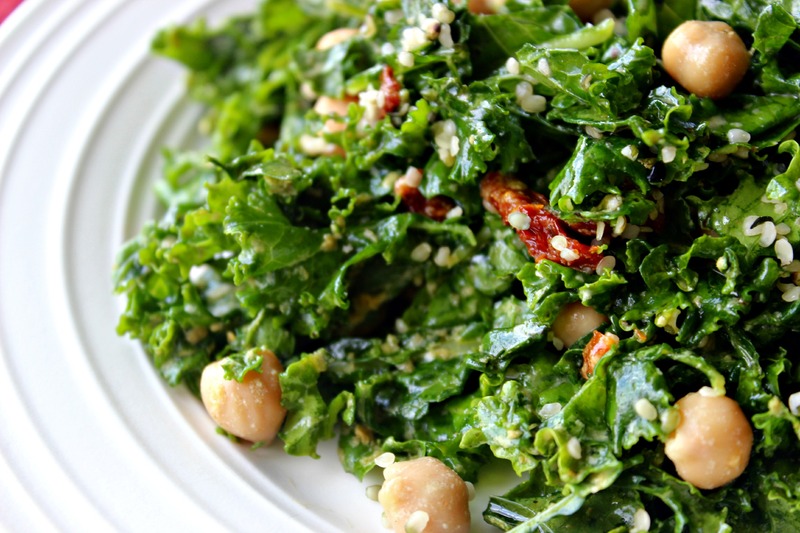 Any other greens’ salads will wilt in a matter of hours once you put dressing on it, but kale salad holds up for about 3 days, so it’s something you can make ahead of time and enjoy for several meals. Check out today’s recipe, and let me know what you think! I love the Mediterranean-inspired flavors and ingredients in this salad. Feel free to add some chicken or fish on top, if you'd like, for a complete meal! Tear kale leaves into pieces and put in large bowl. Add lemon juice, olive oil, garlic and sea salt, and massage everything into the kale leaves for 1-2 minutes, until the leaves are shiny, soft, and have reduced in volume by about half. Add the black pepper, nutritional yeast, chickpeas, sun-dried tomatoes, and hemp seeds and toss until evenly combined. Add more salt or pepper to taste. Enjoy! Oh great! I’ve made it a few times in the past week, and the addition of the garlic totally pulled everything together! It’s quick and easy to make, too.